The Public Health Advocacy Student Alliance (PHASA) is an interprofessional student group at the University of Minnesota that aims to inform and empower health professional students about public policy legislation that affects their patients and their careers. The group includes students from pharmacy, physical therapy, nursing, and medicine, as well as a few undergraduate students. The group is currently trying to push through legislation that would enable medication recycling programs or medication repositories in Minnesota. A medication recycling program would allow for medications that don’t get used at long-term care facilities to be redistributed, rather than thrown out. Many other states currently have medication recycling programs or medication repositories for long-term care facilities, but Minnesota only has a cancer repository system. 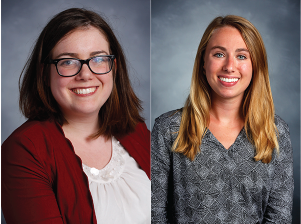 To learn more about medication recycling programs, Van Octen and Rowan Mahon, also a third-year pharmacy student and a co-founder of PHASA, visited an Iowa recycling program that they describe as one of the best in the nation. Describing the need for a medication recycling program in Minnesota, Van Ochten said a lot of long-term care facilities, such as nursing homes and assisted living facilities, use 30-day blister packs of medications for their patients. If they don’t use them all (because of a patient death, transfer or medication change), the facilities throw out the unused medications. Van Ochten explains that at a recycling program, all the collected medications are taken to a centralized repository where they are sorted and undergo a safety check. Then different clinics and pharmacies can access the recycling program’s inventory and request what they want, then they get the medications sent to them and are able to give it out for free. “This has been really helpful because a lot of the medications that recycling programs receive are really expensive medications like chemotherapy and cardiac drugs,” said Van Ochten. Though Minnesota currently has a cancer repository system, Van Ochten says it doesn’t do enough because it is too specific and hospitals are able to redistribute most cancer medications internally, while long-term care facilities have to throw out their unused drugs. According to research conducted by the PHASA, the state of Colorado estimated they waste $10 million (17.5 tons) of reusable medications annually with their 220 long-term care facilities. Meanwhile, according to a recent KSTP-TV story, an estimated 29 tons of medications are wasted each year in Minnesota’s 365 long-term care facilities, costing approximately $16 million. PHASA has been working hard to get legislation on this issue passed in the Minnesota State Legislature. Mahon said they have testified in front of multiple committees in both the house and senate, and they have garnered the support from numerous organizations including the Minnesota Board of Pharmacy, Allina Health, Minnesota Nurses Association and the Minnesota Pharmacists Association. The bill was placed in a supplemental omnibus budget bill last year, but it was vetoed. In the current 2019 legislative session, bills have been introduced - they are House File 182 and Senate File 66. PHASA members are currently working on an implementation plan for when it gets passed and hoping for a better result this year.